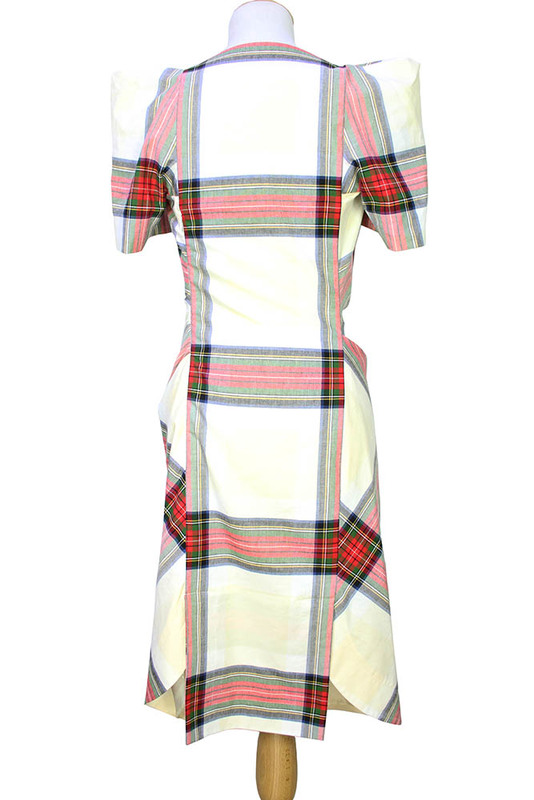 Vivienne Westwood Mainline 'Virginia' dress, in Federal Tartan. Short sleeved, classic Vivienne Westwood. Square shouldered with folded fabric details. Off-white, blotched base colour with bold and faded tartan stripes. Soft cowl neck. Fitted with side zip and folded fabric detail at each side. Elegant curved hem, with single vent at rear. Lined. This is a stunning dress, highly recommended!